Knitting and Cruising are two of Alissa Barton’s favorite activities. Alissa loves getting away from everyday distractions, exploring new places, and meeting new friends. Combining the two is what Alissa considers the ultimate escape. Alissa resides in Grand Prairie, Texas with her husband Brad, two children Alex and Meagan, and three year old grandson Corridon. In addition Alissa shares her home with four large mutts, three cats and three Ball Pythons. 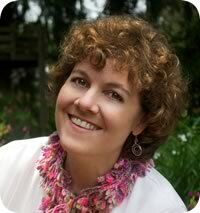 Ann Budd is a master knitter who is a freelance editor, author, designer and instructor. Ann loves to share her knowledge so others can find greater enjoyment in their knitting. 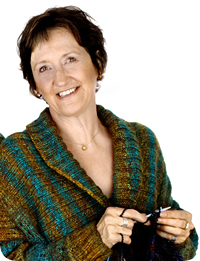 Ann Budd is well known in the knitting world because she has worked as a book editor, managing editor or Interweave Knits magazine and has authored and co-authored many popular knitting books. 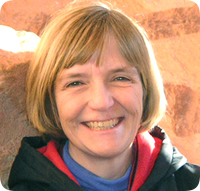 Ann Budd lives in Boulder, Colorado, with her husband in their soon-to-be empty nest. 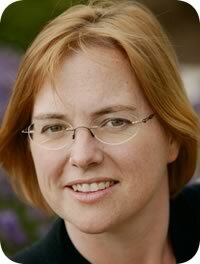 Anna Zilboorg is an Episcopalian, solitarily living in the Blue Ridge Mountains of Virginia. Anna Zilboorg's love of knitting and knitters drives her into the world to teach. 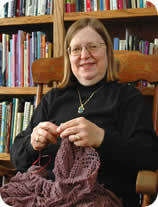 Anna Zilboorg has written several books including Fancy Feet, Socks for Sandals and Clogs, 45 Hats, Magnificent Mittens, and - Anna's best book-- Knitting for Anarchists. 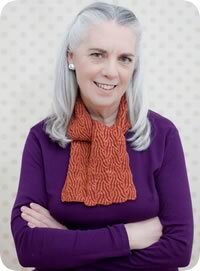 Anne Berk is a certified Knitting Guild of America Master Knitter who is most known for her popular book Annetarsia and her instructional DVD Inside Intarsia by Interweave Press. 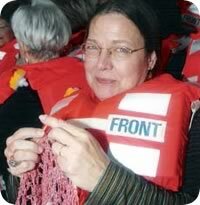 Anne Berk's expertise as a knitting instructor and stash enabler ensures you'll have a great cruising with her. 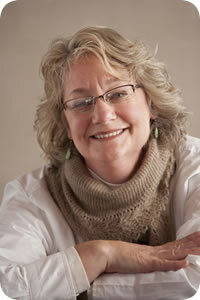 Beth Brown-Reinsel has been involved in many facets of the fiber arts industry and loves cruising the world. 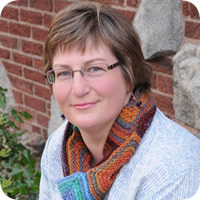 Although Beth is a spinner, basket weaver, dyer, knitter, business owner, author, and knitwear designer, teaching is her passion. Bobbi Daniels is an outgoing and inspirational fiber artists who runs Raven Frog Fiber producing hand spun and hand dyed yarns in Alaska. Join Craft Cruises and Bobbi Daniels on a knitting or spinning cruise or visit her for dying demonstrations while taking one of our Alaska cruises. Bobbi Daniels lives in Sitka, Alaska with her husband Clint, a very old Giant Schnauzer, two very opinionated cockatiels and a few lovely French angora rabbits. They have three grown sons and two granddaughters. 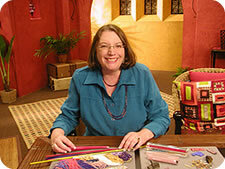 The bead bug bit Carol Bauer at the tender age of 12 when she was given a small beading loom. As an adult Carol continues her love affair with beads and jewelry. She has worked with metal clay (PMC), polymer clay, fused glass, copper enameling and, of course, beads. Beads of all types are Carol's first love when it comes to artistry and she uses them to create personal adornment and to decorative objects of all sorts. 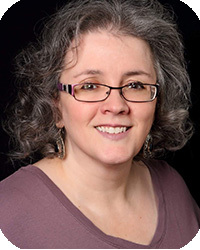 Carol Bauer co-founded the Willamette Valley Bead Artists Guild, has exhibited in various art shows and has been teaching bead weaving for over 12 years. Carol loves cruising and cruises as often as her busy schedule allows. Carol feels cruising is truly the best way to travel. 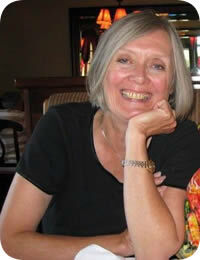 Carol lives in the Pacific Northwest in Olympia, Washington. 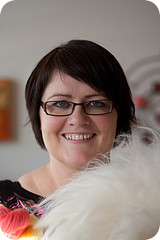 Carol is a popular knitwear designer who is based in Southern Ireland. 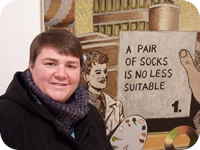 Carol Feller grew up knitting and is both an artist and structural engineer. 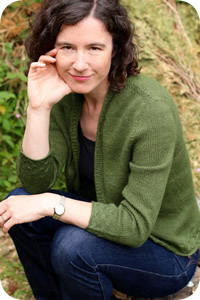 Carol is most known for her contemporary Irish knits where she celebrates the Irish countryside through well-shaped and flattering knitting patterns. 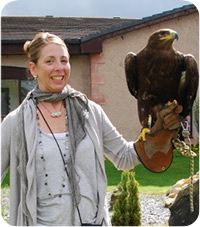 Carol lives in Cork with her husband, four sons and two big dogs. 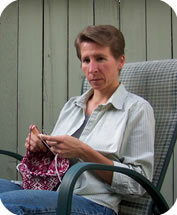 Cheryl Brunette believes that there is nothing you can’t figure out when it comes to knitting. She has been a fiber enthusiast and local knitting sensation for over 60 years, and though she doesn’t know everything there is to know about knitting, she continues to learn along the way. In her teaching role, Chris'reward is when the "light bulb" goes off and knitters learn to discover and trust their own creativity. 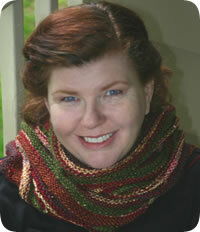 In her workshops, she encourages knitters to color outside the lines - where it's more fun! Chris firmly believes that knitting is not construction. Knitters should explore and make mistakes, feel free to change their minds and most of all, enjoy what they are doing. 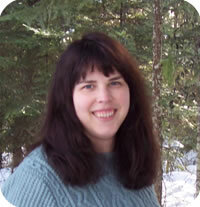 Chris lives in Madison, Wisconsin with her husband, Charlie. Why cruise with Chrissie Day? Because you will laugh a lot, learn a lot, in fact you will learn more than is written down in the class descriptions because she believes in an open book approach. Chrissie combines traditional techniques with an innovative and creative twist. Chrissie Day, known for her innovative knitwear designs, can be found in all the most popular British knitting magazines and journals. 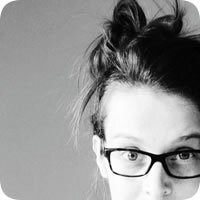 She uses felt and embroidery to create very unique one of a kind pieces. 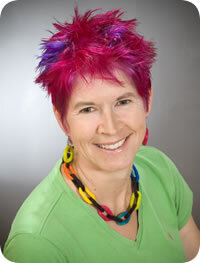 Chrissie is a writer with five titles to date on knitting, crochet; wire jewelery and felting. Her functional fashion accessories fuse her distinctive style with fine design techniques that ensure they are unique. Chrissie Day's striking knitted felt bags and slippers/shoes are sold as kits in many areas of the world. 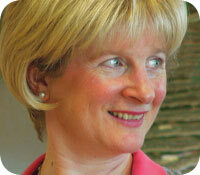 Deborah Newton has been a professional designer of knitted garments, accessories and fabrics for over 30 years. Deborah loves to teach the many tips and tricks she has learned over the years. 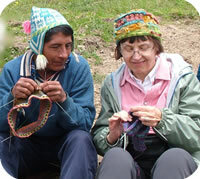 There is nothing about knitting she has not tried, and she loves to share her experience with knitters. She enjoys presenting the special things that make knitting more fun and rewarding as well as her topics such as lace, color knitting, finishing sweaters in a beautiful way, and more. Deborah Newton’s students say regularly she helps them by teaching them specific skills as well as inspire them see knitting in a new personal way! 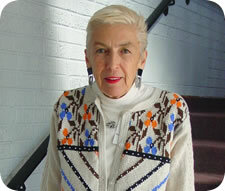 Donna Druchunas is inspired by ethnic knitting both within the United States and abroad. Donna likes to emphasize a basic understanding of traditional knitting techniques so we, like our ancestors, can discover the joy and satisfaction of knitting without patterns. Donna's books on Ethnic Exploration and Discovery as well as her book on ethnic knitting in Alaska "Arctic Lace" are packed full of traditional knitting techniques and patterns to help you love and enjoy knitting as much as she does. Donna lives in Longmont, Colorado. 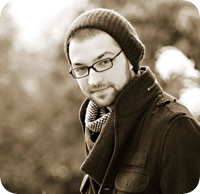 Award winning master crocheter Drew Emborsky, aka The Crochet Dude® has quickly established himself as one of the hardest working success stories in the industry today. Drew's quirky title as "The Crochet Dude" and his kitschy tongue-in-cheek designs have propelled him from a young, unknown fiber artist to the cutting edge of the fiber design world. His books, tv show, line of products, and online fan-base continue to grow and flourish making him a much sought after instructor. Edie loves to share her knowledge of knitting and crochet techniques with students, helping them read their stitches in order to become independent-thinking knitters and crocheters. She has a lot of knowledge to share, because she wears many hats in the fiber arts world, as teacher, designer, author, editor and technical editor. She considers herself fully bi-textural and likes to serve as a Knit-Crochet Diplomat, easing the schism that can exist between the two disciplines. Edie is the author of a number of books (see list below). Onboard, she's always up for a yoga session or a game of ping-pong. Galina Khmeleva mission, passion and obsession in life is to prevent the art of Orenburg lace knitting from going extinct. 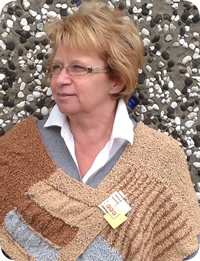 Galina is one of the world's leading lace knitting experts and Orenburg lace historians. Galina Khmeleva is blessed with an incredibly engaging personality and infectious sense of humor. 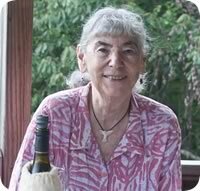 Cruisers will undoubtedly enjoy cruising with her and will be inspired by her in depth knowledge of knitting. When not on the road, Galina resides in beautiful Fort Collins, Colorado with her husband George and their two beloved cats, Mooka and Sasha. 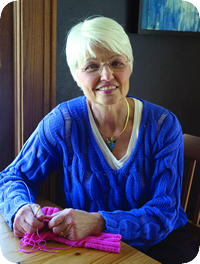 Gayle Roehm is widely known for her expertise in Japanese knitting, and she has taught many knitters how to knit from Japanese patterns. The classes during the cruise will focus on developing an understanding of Japanese hand knitting, preparing the knitter to use Japanese books and magazines which are available throughout Asia. 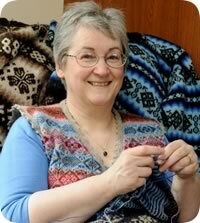 Hazel Tindall has been knitting for over 50 years and has developed a very efficient knitting technique which has gained her the title of ‘The World’s Fastest Knitter’. Hazel resides in Shetland, the most northerly group of Scottish Islands. Hazel grew up in Shetland where she was inspired daily by knitters who knit quickly and to a very high standard since this was the only means of income. Shetland has a thriving knitting and weaving industry. Both Fair Isle and fine Shetland lace were prestigious products that made the knitters of this region renowned. 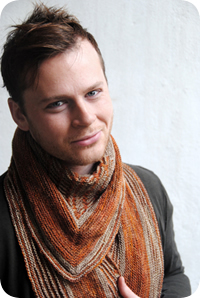 Jared Flood is a New York-based knitwear designer passionate about traditional handknitting techniques and education. He specializes in courses on seamless garment design and construction, as well as traditional Lace & Colorwork technique and design. Jared spends a good deal of his time traveling to teach both nationally and internationally and loves the excitement that travel brings: meeting new people, seeing new places, and most of all bringing knitters to new levels of understanding in their work. 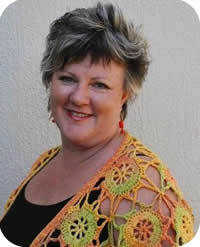 Jenny King is Australia's most innovative and amazingly diverse crochet designer. Crochet is her passion. She has been extremely lucky to have made her obsession her profession. Her work ranges from glamorous one-off runway fashions to soft felted dreadlock dolls. With bags, jewelry, baby wear, quirky Australian animals and botanically correct crochet native flowers in between. Jenny's classes are a real treat because she delights in teaching the rules and also teaching how to break them to get the best results. Jenny is forever pushing the boundaries of crochet and lets the yarn tell her what it wants to be - and it does. 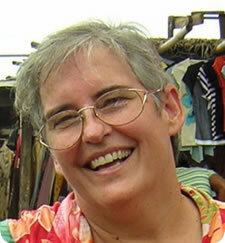 Jenny lives in Queensland, Australia with her husband and 3 adult boomerang children. Boomerang means that they leave and then come back and leave and come back. Joan lives in Northern California with her husband, son and three demanding cats. 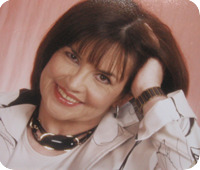 She is a seasoned traveler and loves every aspect of the cruise vacation experience and the luxury of shipboard living. Joan feels the longer the cruise the better! Joyce resides in Los Angeles, California. 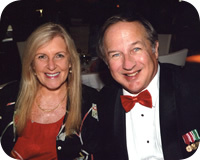 Judy and Pete met in San Diego and traveled the world together while Pete was serving in the U.S. Navy. Over the next 30+ years, they moved over 17 times, living in 7 states while visiting over 55 countries and all 50 states. Pete and Judy also spent 2 years living in Japan and became quite familiar with Asia and the Orient. Pete was an Aircraft Maintenance Officer in the Navy and spent all his sea time aboard aircraft carriers. His longest number of consecutive sea days was 93, during the first Gulf War. His US Navy cruises averaged 200 days with many, many shorter “cruises.” Pete is a certified Civilian Flight Instructor and spent a few years as an amateur bicycle racer. 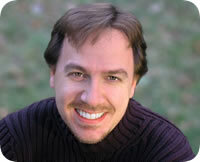 He spends most of his time traveling with Judy and writing about their adventures in his blog www.theinsidecabin.com. Judy worked as a photographer shooting everything from Weddings, Catalogs and spent time as photo journalist for the Navy newspaper in Japan and as the Photographer for the US Airforce Jazz Band, “The Airman of Note”, where she was credited with the cover photographer for several of the bands CD Covers. Late in his Navy career Pete and Judy discovered civilian cruising – and they loved it from their very first Alaska cruise in 1998. They have completed over 20 cruises since with the most recent being the Grand World Voyage on the MS Amsterdam in 2016. Pete is a frequent participant in Judy’s Yarn Crawls and has led and organized several individual yarn crawls in North Carolina and Southern California. 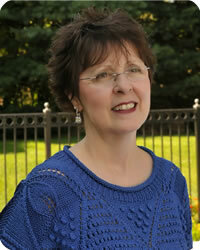 Working together, Judy focuses on knitting projects, personalized knitting coaching and specialized instruction. Pete keeps things organized, on time, anticipates problems and solves any which may crop up along the way. 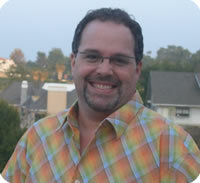 He is also an expert is solving many computer and smart phone problems as well as assist with any issues that may come up during the cruise. 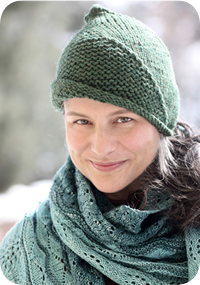 Karen Alfke is an amazing knitter, designer and instructor who will help increase your enjoyment of knitting by raising your level of confidence. Karen has developed a system of knitting known as "unpatterns" that will give you new skills and empowerment as an independent knitter. Karen lived in Europe for years and absolutely loves travel. She is fun and energetic you will have a blast cruising with her. Karen lives in Port Townsend, Washington with her very cute dog. 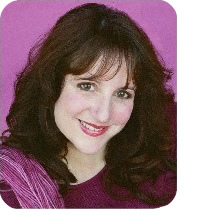 Karen Morin is a unique individual who loves to travel and share her passion for creativity with others. 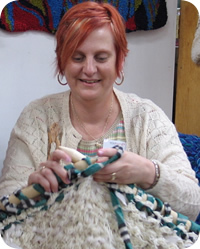 Karen is not only an expert knitter and experienced teacher but she is also a Craft Cruises trip leader who has traveled the world. Karen lives on her family farm in Poolesville, Maryland with her husband Joe, two teenagers and mini-poodles, Owen and Wilson. Kristine is a thoughtful and kind person, full of information about color, the fiber arts, techniques, art and new ideas. Kristine is completely willing to share what she knows, as well as walk down the unknown path of an idea to help suss it out. She is easy going, funny and filled with joy for living. You can’t help but have a good time when you are with Kristine as she is inspired by life, love and people and wants to experience it and share it with everyone. Leslye Solomon has taught thousands of knitters how to knit and improve their skills over the years and has been an inspiration to many. 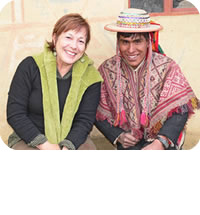 She is passionate about every aspect if knitting and loves to travel. 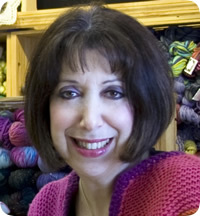 Leslye Solomon lives in Baltimore, Maryland where she owns and operates her very successful yarn store, Woolstock. Over the years Lily Chin has become one of our most sought after instructors because she is not only a fabulous instructor but she enhances everyone's travel experience travel experience. 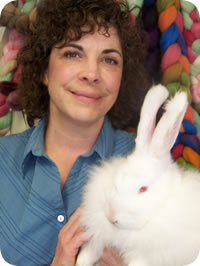 Lily Chin is an internationally famous knitter and crocheter who has worked in the yarn industry for nearly 25 years. 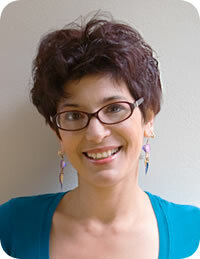 Lily Chin is a very popular designer, instructor, and author. Lily Chin lives in New York city with her husband. While happy to knit with beautiful yarns, what really thrills Lorilee is learning and sharing knitting techniques, paying special attention to the mechanics of knitting. She is particularly interested in helping people read their work and learn maneuvers that improve all their knitting experiences. 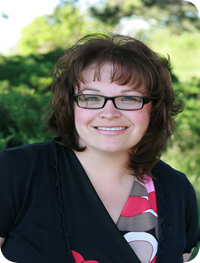 Lorilee lives in Grand Rapids, Michigan with her husband, three teen-aged boys and a very vocal border collie named Millie. Lotte Kjaer is an inspiring leading edge Danish designer. 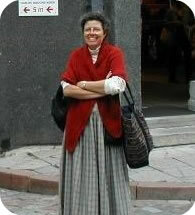 Her patterns and style are fresh, trendy and popular throughout Europe. She lived in the US for several years studying in New York and Boston so her English is great. She loves fiber, knitting and designing but most of all she loves sharing her passion with others. Lucy Neatby is the original "Nautical Knitter" who, for many years, knit her way across the oceans as a British Merchant Navy navigating officer. 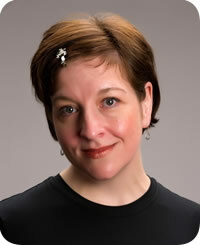 Lucy Neatby is an expert instructor who can simplify even the most technical techniques. If you have ever wished to become really comfortable with your stitches and be able to make them do your bidding, Lucy will help you. Lucy Neatby is truly masterful when it comes to knitting skills and design creativity. Lucy will inspire everyone who joins us on this trip. Lucy Neatby resides in Dartmouth, NS and on Tancook Island, NS, with her seafaring husband John and daughter's cat Pluto when not on a narrowboat on UK canal network. Maggie Jackson is an innovative knitwear designer from Ireland who has created hundreds of unique designs and original patterns. 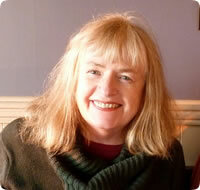 Maggie Jackson teaches knitting workshops around the world sharing her expertise and design background while bringing her Irish wit and sense of humor into the classroom for a very entertaining experience. Maggie's mantra "Be Different. Be Bold. Think Outside the Box." inspires knitters to take their knitting in a whole new direction and she invites you to join her on this knitting cruise adventure. Maggie Jackson lives partly in Kalamazoo, MI where she operates her knitwear design business and partly in Ireland with her family on their country farm. Marlaina "Marly" Bird fled the world of financial services to launch her Yarn Thing podcast and hasn't looked back since. To Marly, a bi-crafty girl who both knits and crochets, the yarn is the star, not how you work with it. 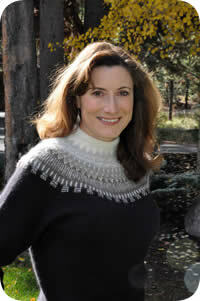 She's creative director for Bijou Basin Ranch Yarns and the co-author of Curvy Crochet (Leisure Arts, 2011). You have seen her designs in Knit Simple, Interweave Crochet, Knitscene, Inside Crochet, Love of Knitting, Knitter's, Wild Fiber's and Petite Purls, and in the books Knitter's Book of Socks, Simply Crochet, Unexpected Afghans, Perfectly Plus and Knitting Plus. In her spare time she raises three kids and teaches at her local yarn store in suburban Denver. Enter the world of Marly at www.marlybird.com or follow her on facebook at www.facebook.com/MarlyBird . Mary Beth lives in both Gouldsboro, PA as well as Steamboat Springs, CO.
"If you ever have a party and need someone to be the life of it, call Mary Scott Huff" – Knitting Student, Victoria BC. Mary loves knitting to distraction, and the only thing she loves more are the knitters, themselves. Learn a new technique, an unusual architecture, or the ins and outs of combining colors in your knitting. Whether you're a brand new knitter or have loads of experience, Mary's upbeat and enthusiastic style will hook you. Mary believes that above all else, knitting should be fun. She takes the time to connect personally with each of her students, both during class, and throughout the cruise. Resides in Fairview, Oregon with 1 Husband, 2 Children, 2 Scottish Terriers. Melanie lives in Bonn, Germany with her family where she spends much of her time combining colors, shapes and textures into freewheeling designs that are uniquely her own. Melanie has been published by yarn companies and knitting magazines large and small and she also self-publishes her own patterns and e-books. Melanie loves collaborating with creative types from all over the world and is very excited about teaching on this cruise. Melody MacDuffee is an amazing fiber and jewelry artist who has created a new technique, known as Overlay Crochet and is inspired to help others learn it so they too can achieve effects not otherwise easily achieved in traditional mediums. Melody MacDuffee resides in Mobile, Alabama. Merike Saarniit loves exploring - exploring stitches, history, cities, countries! While this upcoming cruise will be Merike Saarniit's tenth, Merike never gets tired of the cruising experience and the opportunities a cruise provides for exploring in comfort. In Merike Saarniit's classes she shares knitting stitches which have evolved from exploring the rich knitting heritage of Estonia. Students will have fun in Merike's classes as they explore traditional stitches and techniques with a bit if history and culture thrown in for good measure, along, of course, with a good dose of humor! Join Myra Wood for an adventure of pure creativity on a free-form fiber cruise. Myra is a creative artist who combines different techniques to create unique wearable art. Myra Wood uses color, texture and design to guide the inspirational process. Come and immerse yourself in luxury onboard a beautiful ocean vessel while learning new methods of constructing and embellishing your work. Myra, her husband and their 10 year old Italian Greyhound, Munch, live near Los Angeles, CA. 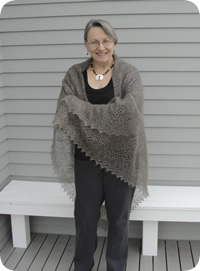 Myrna enjoys sharing her love of lace knitting by designing shawl and scarves, teaching lace knitting classes and publishing her designs. Her definition of lace knitting is using two sticks and some string to connect a series of holes in a pleasing fashion. Lace knitting does not require 000 needles and very fine thread. Worsted weight cotton and size 7 needles make practical, pretty lace dishcloths. Bulky yarn and size 11 needles produce beautiful lacy afghans. 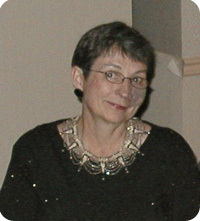 Myrna Stahman lives in Boise, Idaho with her husband Bob. 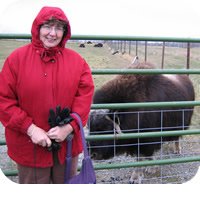 Nancy J. Thomas is currently the creative director for Coats & Clark Yarns and a trip leader for Behind the Scenes Adventures. Her almost lifelong interest in needle arts is evident in her endeavor to promote crafts. 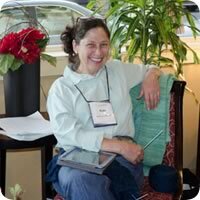 To stay in touch with the end consumer, Nancy attends seminars, workshops and conventions throughout the United States and Canada, as well as teaching needlecrafts on many levels. 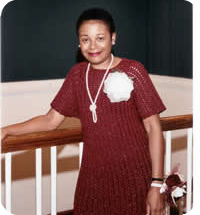 Aware of the importance of visibility for needlecrafts, she was the co-chairperson for New York City’s Knit Out & Crochet Too events sponsored by The Craft Yarn Council of America for over 5 years. 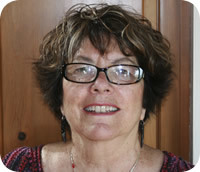 Nancy J. Thomas lives in New York City. Nancy Marchant was born in America but have lived most of her life in the Netherlands (a country girl living in a big multi-national city). Nancy Marchant has taught Brioche knitting in most European countries and enjoys the cultural differences of teaching students from all nationalities. Nancy Marchant likes to meet with Craft Cruise knitters while in Amsterdam for knitting cruises. Nancy resides in Amsterdam with her two cats, Bart & Homer. 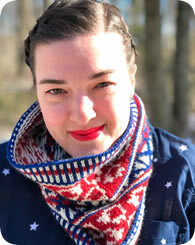 Ragga's profound knowledge about Icelandic knitting styles and laid back teaching style have earned her an international reputation as a fun and informative instructor. 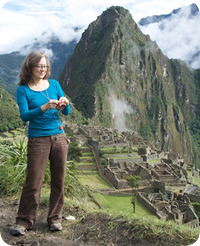 Ruth Carapella is a fun-loving and passionate knitter who loves to travel and share the travel experience with others. Like Sally Melville loves all aspects of life as a ‘professional’ knitter: teaching, writing, designing, and explaining what this all means! And what does it mean? It means an extensive teaching schedule that takes her around the world, speaking to wonderful folk who can appreciate the perfect buttonhole, who love the textures and colors and techniques of knitting, who want to be more intuitive about their craft, and who know that life is about learning. Sally lives alone in Ottawa, Ontario, while she is currently pet-less she hopes to change that soon as her new grandchildren are old enough. Sally lives near her daughter—who shares her love of knitting. In addition to a daughter, Sally has a son, a musician and composer and leader of his band, CANEFIRE. 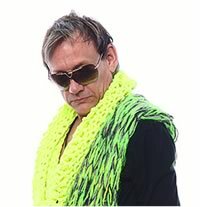 Steven Berg is a fiber artisan who is armed with a wealth of experience, a daring sense of style, and a firm belief in the transformative power of creativity that knitting or crocheting offers to all who are brave enough to push the boundaries. Steven began his career as a young boy, furiously knitting lines of sequin dresses for a discerning clientele of Barbies in Wisconsin. Tanis Gray is making it her mission to teach anyone to knit in an exciting and accessible way. 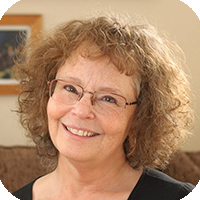 A knitter for over 30 years, she has helped thousands of people stitch their way to success, in person, online, and on TV! Join Tanis as we sail and stitch our way across Alaska covering intriguing techniques and projects steeped in history and pop culture alike. When you cruise with Craft Cruises for Kids™ and The Handwork Studio, your kids will spend their time moving between creative activities such as knitting, crocheting, embroidery, hand and machine sewing and crafts. Each class is project based and will center around a fun filled theme sure to delight kids of all ages. The pride your child will feel will be remembered for a lifetime. Not only will they have a wonderful time but they will be working on math and fine motor skills, social development and patience by sticking with a long term project. The result: Making really cool projects with new friends while having Fun! Fun! Fun! The Handwork Studio is a tight-knit community located in Narberth, PA.
Tulasi Zimmer resides in Helena, Montana on a 7.5 acre farm with her husband, 4 llamas, 3 German angora rabbits, 3 cats, and abundant wildlife.